The Central Alliance Neighborhood (which includes The Berkley South Condominium) is one of the best locations in Fort Lauderdale with recent openings of Shooters Waterfront, Events by Grateful Palate and Bokamper’s Sports Bar along the Intracoastal Waterway north and south of the Oakland Park bridge. 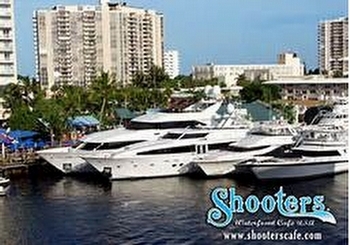 Shooters Waterfront – formerly Shooters Waterfront Café for 30 years - has undergone a complete makeover seeking to revitalize this popular landmark restaurant but with a new, classier style. Located at 3033 NE 32nd Avenue — with 340-feet of dockage and a stop on the Water Taxi route, it just re-opened for dinner and will be open for lunch next week. Its’ waterfront location, resort like furnishings and décor, and relaxed ambiance provide residents in The Berkley South and surrounding homes and condominiums in the Central Beach Alliance neighborhood the perfect setting to enjoy Happy Hour, lunch or dinner in waterfront surroundings. Bootlegger, located at 3003 NE 32nd Ave. and well known in the past for its weekend bikini contests around the pool, re-opened in December as a private events venue called Events by Grateful Palate. The 6,000-square-foot venue is newly designed, with an artfully designed bar and panoramic view of the Intracoastal Waterway. Events by Grateful Palate is a full service private events venue available for weddings, corporate events, sweet 16’s, and any other special occasion. This is one of the only specifically private events venues in Fort Lauderdale and is likely to have a lengthy waiting list given its’ highly regarded cuisine and name in the catering industry. Should you enjoy a slightly more upscale and dressed up evening out, Chart House Fort Lauderdale is another option in this very convenient location. Offering the largest outdoor dining patio, you can enjoy spectacular sunsets while watching some of the largest privately owned yachts from anywhere in the restaurant. From prime cuts of steak to freshly caught seafood, Chart House has an extensive menu and has a lively happy hour as well. 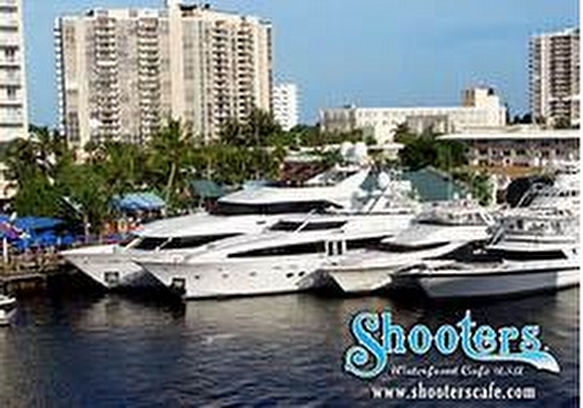 Chart House Fort Lauderdale has over 400 ft. of dock space if you choose to come by boat or you can walk over from The Berkley South. They recommend reservations. Chart House is a wonderful spot for Valentine’s Day!